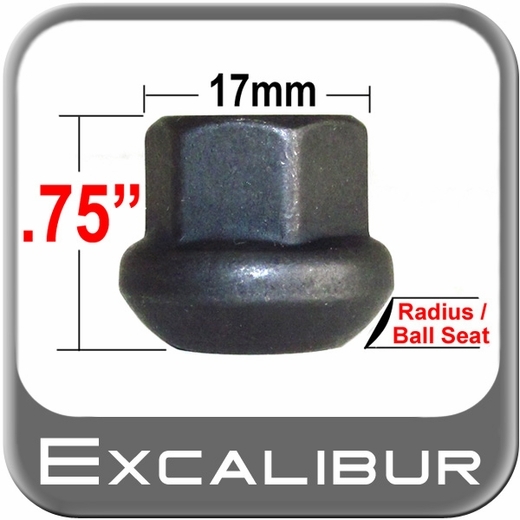 The excellent seating surfaces of Excalibur black lug nuts will snug your wheels for a smooth ride. The excellence in quality is evident with Excalibur black lug nuts. Excalibur black lug nuts will help your wheels keep turning true. A new set of custom wheels won't look custom without a new set of Excalibur black lug nuts. They went out of they're way to find what I needed. Definitely will do business again!! The lug nuts are perfect, for a sort of tricky application. They are very high quality and i couldn't be happier with them!